Portions of proceeds benefit Houston Mod. 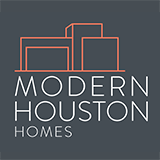 We encourage you to join and help preserve Houston’s modern legacy. Houston Modern Market Week is the largest cultural celebration of “modern” in Texas. A week full of lectures, films, parties, tours, and of course; Houston’s vintage modern, contemporary modern, all modern market is the showcase for fine art, furniture, jewelry, objects, design, architecture, clothing and more. Exhibitors based locally and from around the country will converge at Houston Modern Market with their best modern wares for you to take advantage of and make the deals of the century! Put on your best mod chic for the Preview Party with libations, lite bites, live entertainment, and first chance buying of the modern treasures. 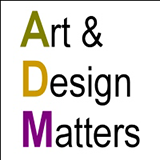 Houston Modern Market presents Exhibitors of Fine Art, Furniture, Jewelry, Objects, Architecture, and MORE! Admission includes Lectures and Special Exhibits. Don’t miss the fun! Houston Modern Market knows how to throw a PARTY! Put on your best mod chic and enjoy libations, lite bites, live entertainment, socializing, and first chance at shopping the modern treasures before the market opens. Shop til you drop Mod booths and artist studios. Guy W. Carwile’s research interests include roadside architecture, vernacular architecture of Louisiana, and early modern architecture of Shreveport. In addition to required architecture courses, he also teaches a survey course on the Architecture of Louisiana as well as courses on HABS Documentation. He is currently co-authoring a book with Dr. Karen Kingsley on the Architectural Works of Samuel G. and William B. Wiener – architects of modern Shreveport. His research interest in the Galveston Jack Tar began in 2007 and continues to the present. Coinciding with the exhibition, Silver: An American Art, Selections from the Museum of Fine Arts, Houston (on view through February 15, 2015), Marissa Hershon will discuss works by individual silversmiths, including Peer Smed, William G. de Matteo and Maria Regnier, and the role each played within the development of modernist design in America. Marissa Hershon is Curatorial Assistant for modern and contemporary decorative arts and design at the Museum of Fine Arts, Houston. She recently co-authored Silver: An American Art, The Milo M. Naeve Collection of American Silver at the Museum of Fine Arts, Houston. Published in July, 2014, The Astrodome: Building an American Spectacle is the story of the people, technology, and times that built the biggest room in the world. The book, recently excerpted in the Houston Chronicle, is the first in-depth look at the design and construction of the Astrodome, highlighting the people who participated and the unprecedented solutions they developed for problems that had not previously existed. The book chronicles an extraordinary achievement in extraordinary times, and its lasting technological and cultural influence. James Gast is a registered architect, specializing in large-scale transportation and infrastructure projects. Accessible from Sawyer St or Summer St.
For parking, take Summer St to parking lots.